Don't miss your chance to see international superstar and 9 time Grammy winner Santana live in Las Vegas. It'll be a night of none stop dancing to this legend's biggest hits. Get your tickets early with online booking. 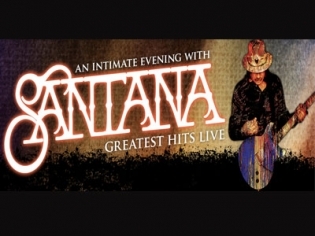 Enjoy an intimate evening with Santana for his Greatest Hits Live! Show in a series of limited engagements. The unique sound of Carlos Santana’s guitar is unmistakable and has earned him a place in history. His musical career started at Woodstock and has enjoyed a resurgence with the release of the album “Supernatural” in 1999. This intimate show will cover many of the hits from his long career and will thrill both new and old fans alike. Santana really is a classic, and you can’t go wrong with his music. He’s so good. I’d see him again. This was a good show. Santana is a class act. He plays so well. His music is very soft and touching. He has a great way of getting the crowds’ attention. The venue was nice, not overpriced. Check this one out for a low key musical evening.